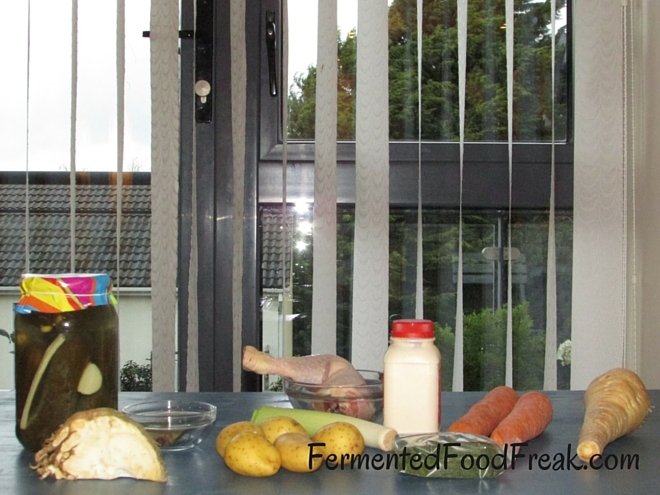 When we talk about the miraculous health benefits of Fermented Food we mean RAW Fermented food. That’s because of the presence of lacto-bacteria that work all those wonders in our guts. However, I would eat ferments every day even if they didn’t contain a single bacterium or a vitamin molecule because I adore the taste. Frankly, when I started blogging I wasn’t that interested in all the health properties of Sauerkraut and the likes. I was even a bit annoyed with the current hype for those foods and notion that we currently witness a sort of re-discovery of the ancient technique of preserving food. This is not a re-discovery or re-animation as some experts want to convince us. 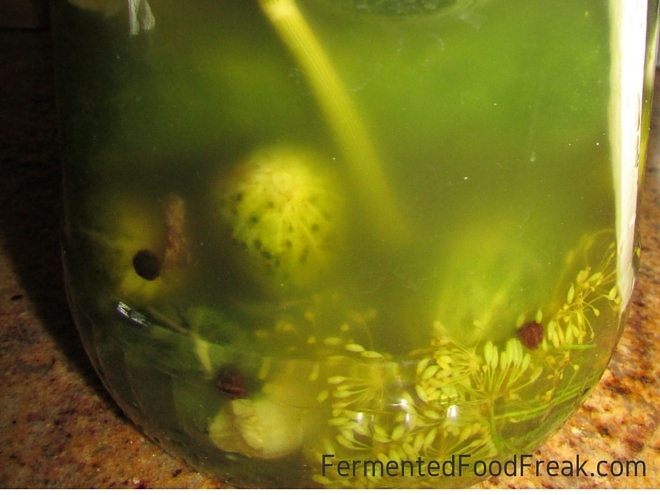 All the Eastern Europe and other parts of the word have been CONTINUOUSLY and extensively using lacto-fermentation for preserving vegetables for all this time when the Western countries treated it with the deep contempt. Therefore, the Eastern European cuisine comprises loads of traditional recipes that use “lacto-pickles”. We have to somehow eat all those barrels of sauerkraut and cucumbers over the long continental winter, don’t we? Most of those recipes are for cooked dishes, so they are not really in line with the current trend for implementing living bacteria into your guts. But they are heavenly delicious and serve as the definite comfort food as well as a fabulous hangover remedy. Not being as healthy as raw ferments, they are still far from the definition of junk food. I have already given you the recipes for Sauerkraut Soup, Żurek and Barszcz. Now it’s time for Dill Pickle (fermented cucumbers) soup. It’s one of the most popular soups in Poland, particularly enjoyable in winter. You don’t really need homemade Dill Pickles to prepare the soup as the pickles will be cooked anyway, so the pasteurized ones from a store will do well. Just be very careful not to buy cucumbers in vinegar called ogórki konserwowe in Polish. Place the meat, leak, pimento and bay leaves in a pot with two litres of cold water. Bring to boil; after that turn the heat down and keep cooking for at least 20 minutes. In the meantime, chop the carrot, parsley root/parsnip and celeriac and grate or cut the cucumbers. Check if the meat is thoroughly cooked; if so, fish it out and do the same with the leek. Put the chopped veg into the pot, cook until soft and add the cucumbers. Chop the chicken meat and add to the pot. Add salt and pepper. Mix cream with a small amount of hot soup and pour into the pot, stir, add pressed or chopped garlic, dill and cook for a few minutes. Enjoy! Thank you for reading the post. If you need a visual presentation of the recipe and feel like having a bit of fun, watch the video made by M.
Previous Previous post: Wigilia – Polish Christmas Eve Dinner.